A post footer is a useful thing. 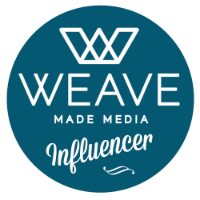 It's a great place to market your social media accounts, redirect readers to current giveaways or popular posts, encourage new visitors to subscribe, etc. Some people also use it to insert a signature at the end of each post. 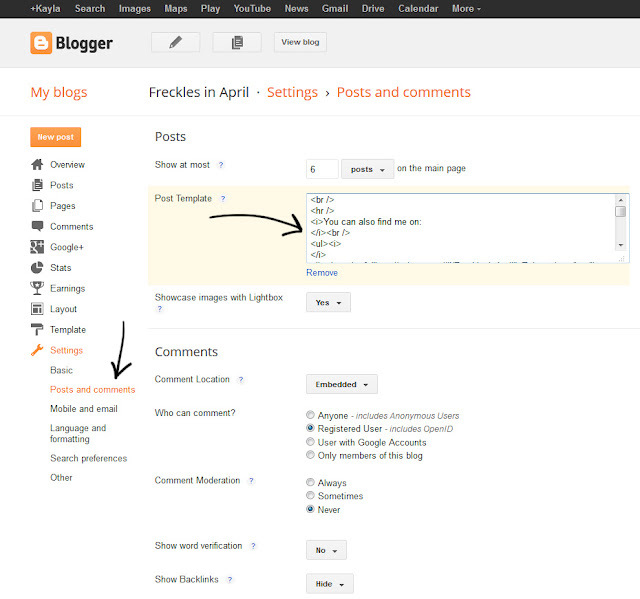 Go to your Dashboard > Settings > Posts and comments. In the "Post Template" box add in your footer code. Anything in this box will have to be formatted with HTML. I give you permission to use the cheater way- write out what you want in the "compose" window of a new blog post then click over to the "HTML" tab and copy the HTML. Easy Peasy. Alternatively, you can use W3 Schools to look up code snippets if you're feeling adventurous and would like to write your own. 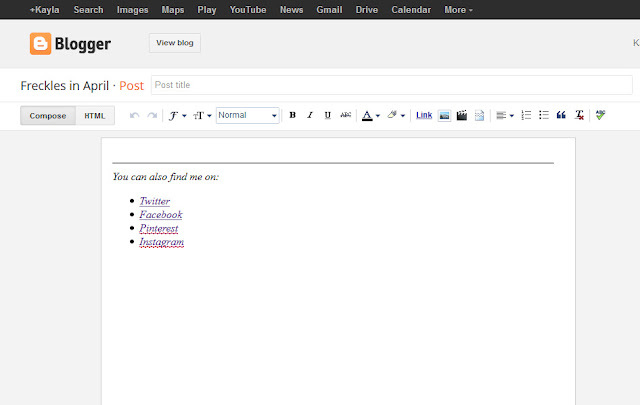 I like to include a break <br /> at the very top so I've got wiggle room to start my post above my footer. I follow that with a line (in HTML language it's called a horizontal rule <hr />). Then, I've got a list <li> < /li> of all my social media accounts. I could type that in every time I create a post...but why? Also, you could get fancy and create an image map of your social media or whatever. It's on my to-do list, but...oh look, something shiny! Thanks for sharing this (I think I saw it on Twitter?)! cool I'll have to try this! Love this series - I'm excited! This seems super useful, thanks! I recently dug up your tutorials from last year maybe? Helped me finally make a header. You're so good at this. Thanks hun!!!! I been looking for a way to add my litte "signature" at the bottom of my post for ages!!! For ages I was "adding pic with URL". Grr, haha. Now question - this is only going to be effective for FUTURE posts right?? When redeeming your own personal promotion,I suggest you like the trusty spot since usa. Awesome tip, I have totally stolen this idea! Thanks for this; I just added it to my blog today. I should probably pay more attention to tips like this that make my life easier! WOW! Kayla this is very helpful for us bloggers. Thank you so much for sharing this to us. Thank you! Finally an explanation that is easy to understand and also some great tips - like adding breaks at the top and "cheating". thanks so much. is there more code to add to center and change the text size, color, and font? is that complicated? I suggest using the "cheater" way I mention above. 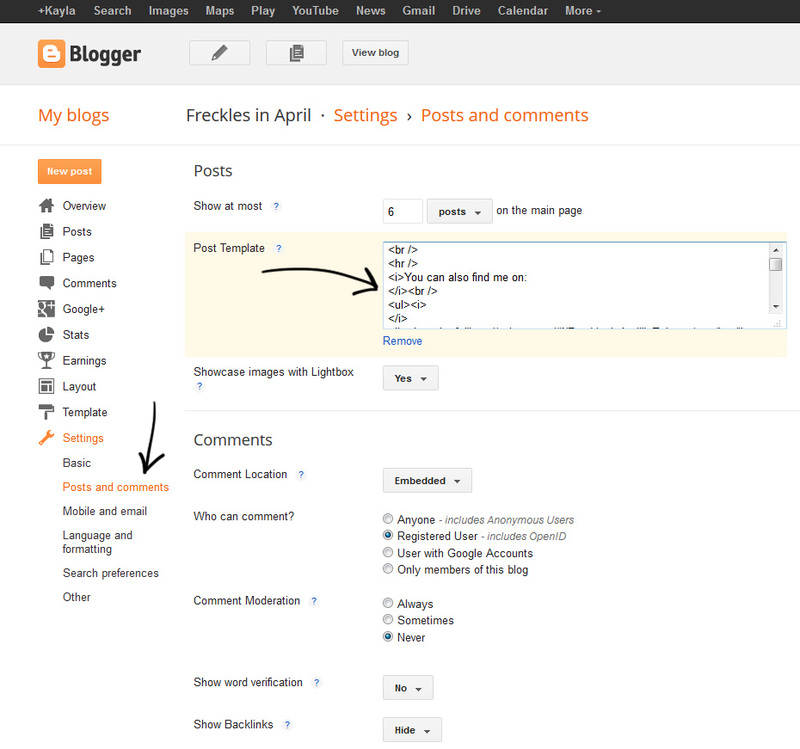 Use the "Compose" tab in blogger to get everything looking the way you want then hop over to the "HTML" tab and just grab the code. Otherwise you'll have to look up all the individual code snippets you want! Thank you so much! That was so easy!